No drawbacks on this purchase. I was quite unsure what shell I needed during the winter to protect the down insulator I have. 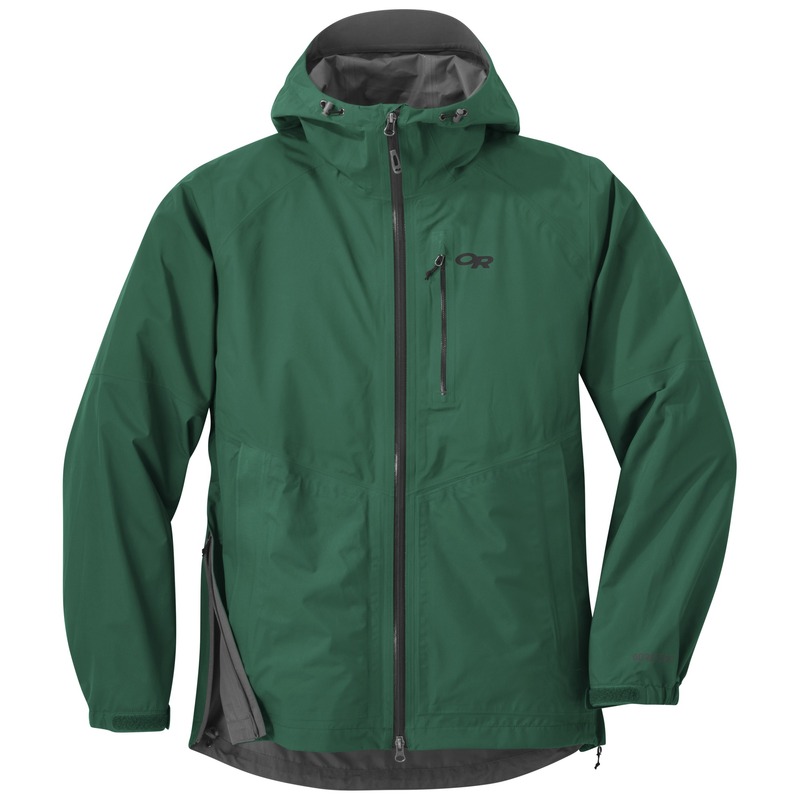 Good recommendation from the OR videos, and this jacket has served well to protect against the snowfall during the winter as well as the rain during the spring. I use it for sledding, casual wear, and all travel. Had an older version of the Forey for years and loved it, was totally waterproofing and breathable but after 5+ years it started to wear out. Upgraded to the new model which lacks PFC in the DWR, which is great I'm always on board for environmentally friendly products. 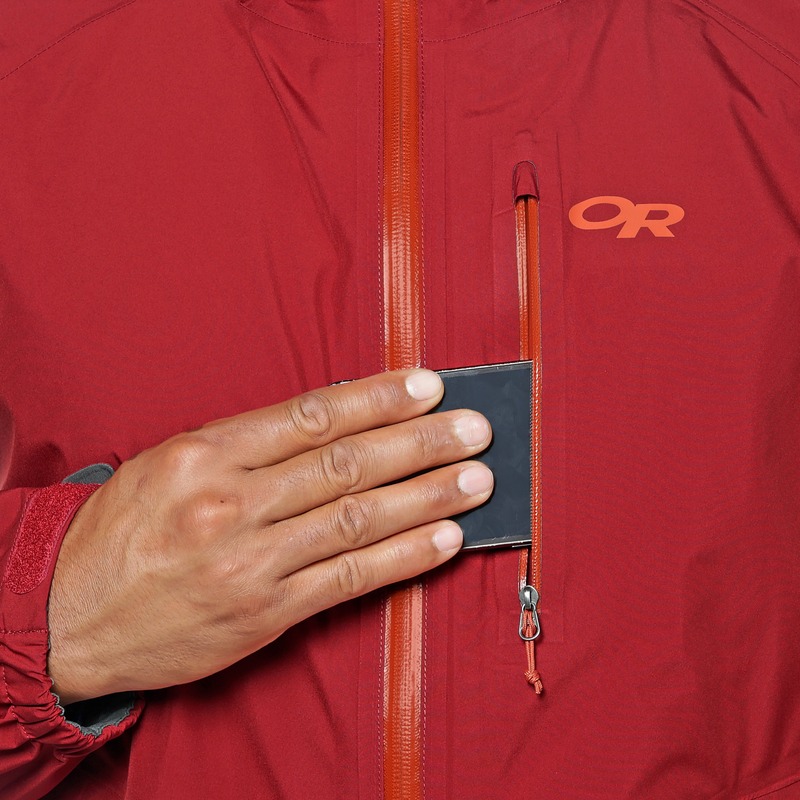 HOWEVER, this new DWR face fabric really only sheds light rain for a few minutes, and then completely wets out becoming 100% not breathable in those areas. You can actually see the fabric absorb water on the inside of the coat, and while it's not actually wet on the inside from the outer fabric abrobing water, any water vapor your body puts off is now trapped and those areas become damp. And even at zero activity level the human body is releasing some vapor with heat loss. I work at night on an ATV, so I'm sitting still, hardly exerting myself and after 20 mins the whole jacket was wetted out and damp inside in a light rain. 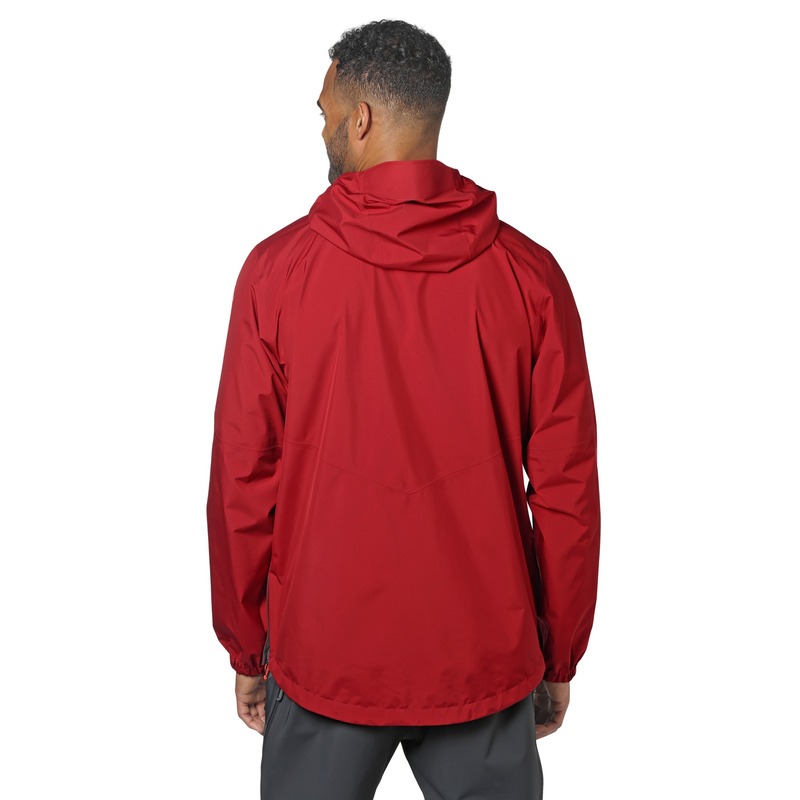 The water resistant zippers are questionable as well, thick rain gets through after time. 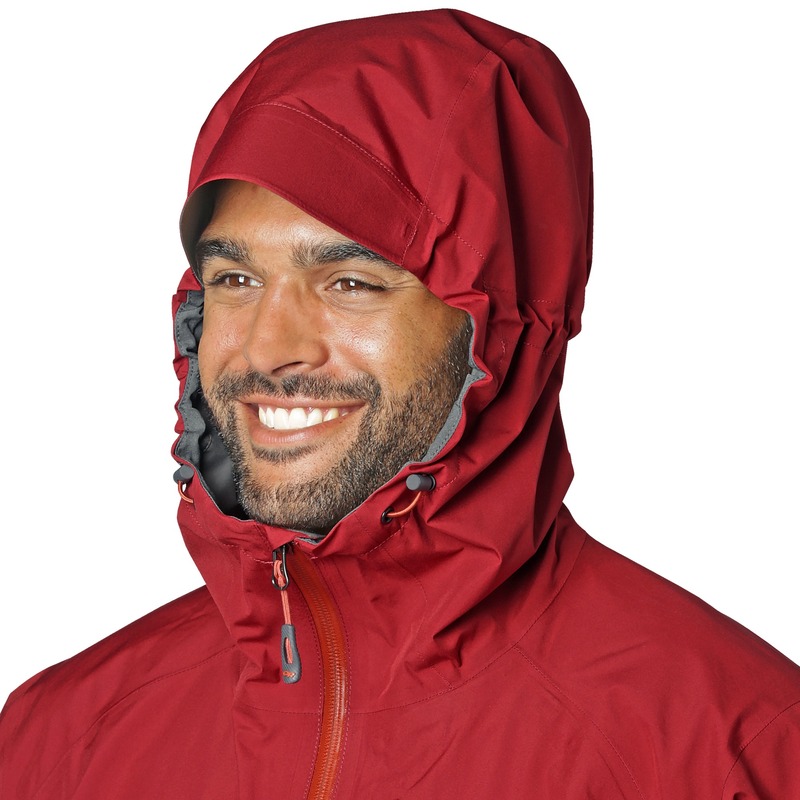 So the advantage of Gortex Paclite 2L fabric being lightweight and breathable are immediately lost and you're left with essentially a clamy rubber raincoat that doesn't breath at all. 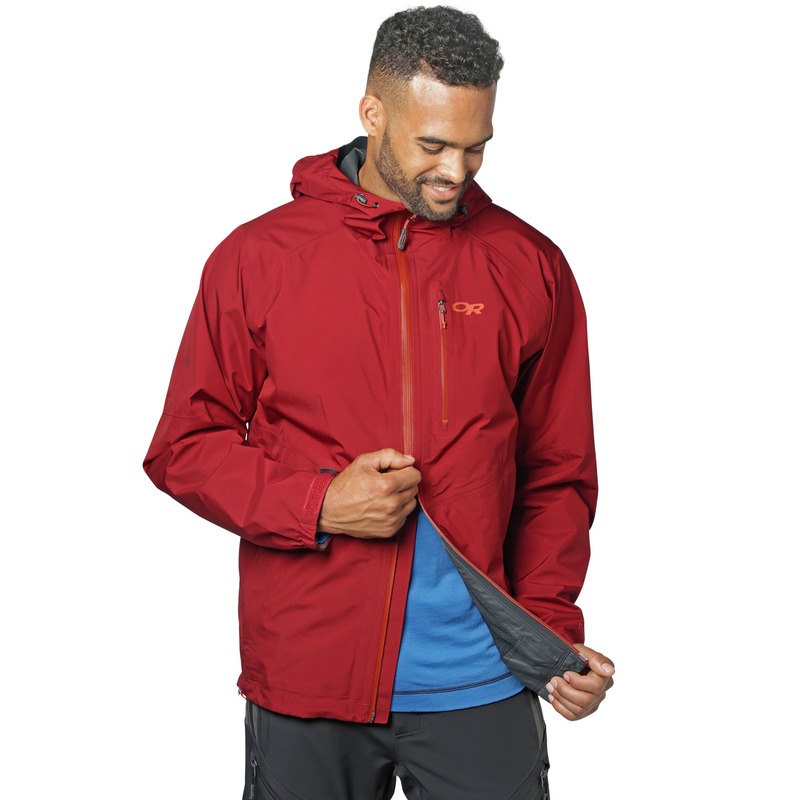 OR tells me this is an issue on all new Paclite products not just OR and Gortex's recommendation is to put it in the drier for 20 mins before each trip to reset the DWR. 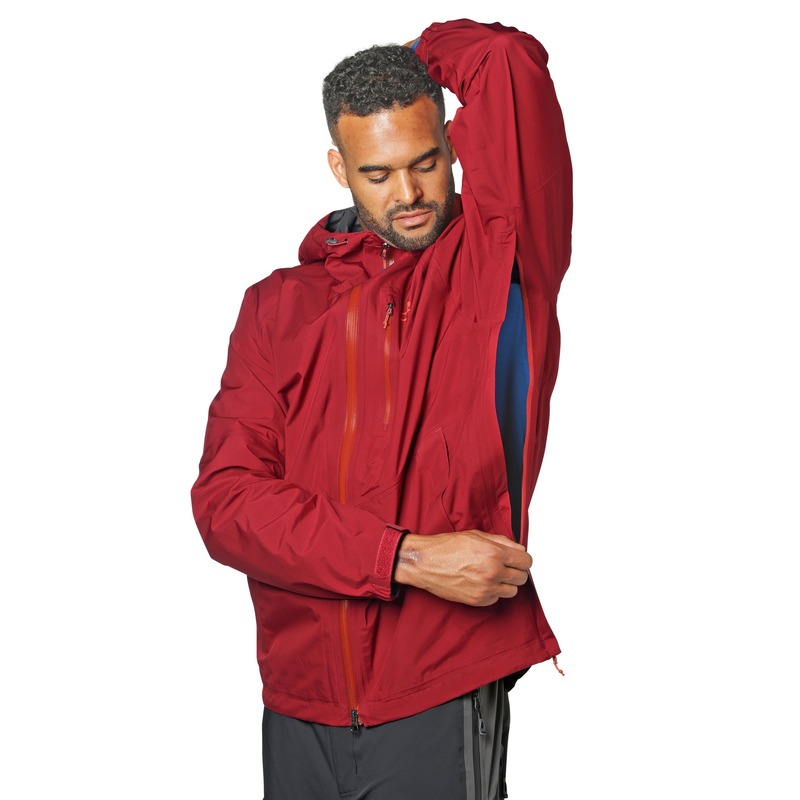 Great if you have access to a drier but I'm wondering why I paid for a jacket that needs constant TLC and can't be taken on long trips to parts of the the world that don't have driers in every house. 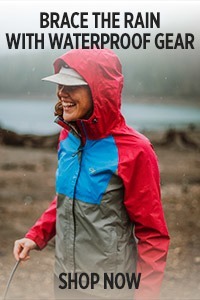 Skip this and Paclite fabric and buy a 3L jacket without this new DWR face to really insure you get something that will keep you dry when you need it. 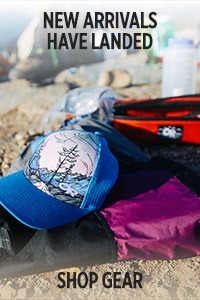 This is the first time I have purchased Outdoor Research products. I'm a photographer and travel worldwide. In my travels I have come across a lot of other photographers who were wearing outfits from Outdoor Research. 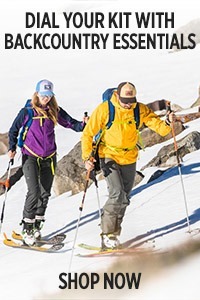 I have ordered several different items from this company and I must tell you that I'm really impressed with the quality and fit of the garments. This is exceptional value compared to other gear I have from another very famous high end company. You will not break the bank. The jacket fits me exceptionally well and have no complaints so far. I am a tall woman and the women's options for coats rarely fits. That's why I always select a men model and it's always been a good fit for me. My old OR coat wore off after 20 years and so I had to look for another one. Selected this model as it was the closest I could find to what I had. I was surprised at the light weight of it! 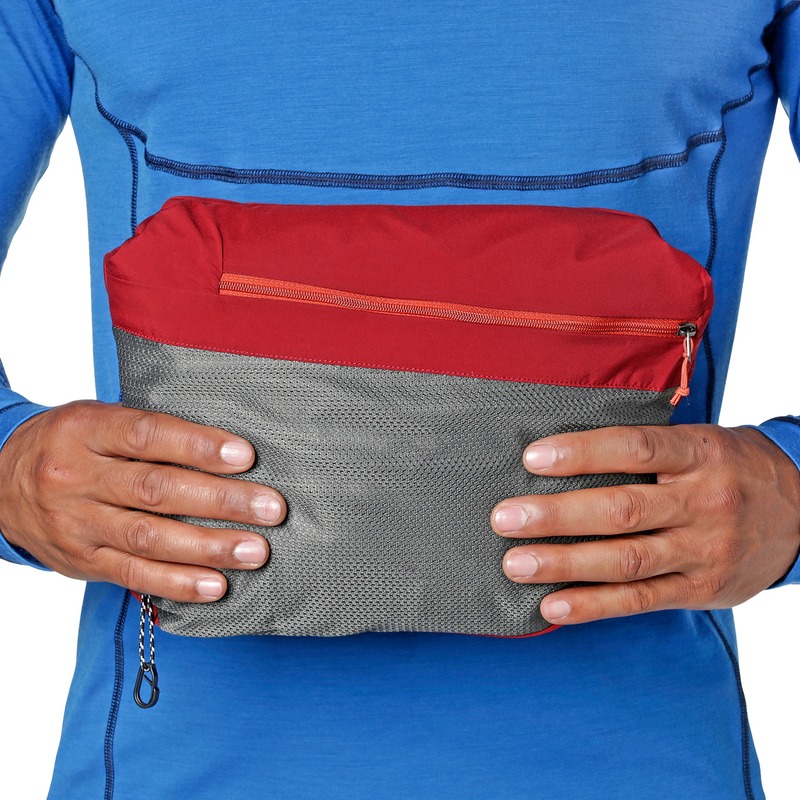 The older versions were much bulkier while this one easy compresses into a small bundle, easy to pack and carry. No regrets, ever, with my OR gear! Everything I need in a do it all hardshell. 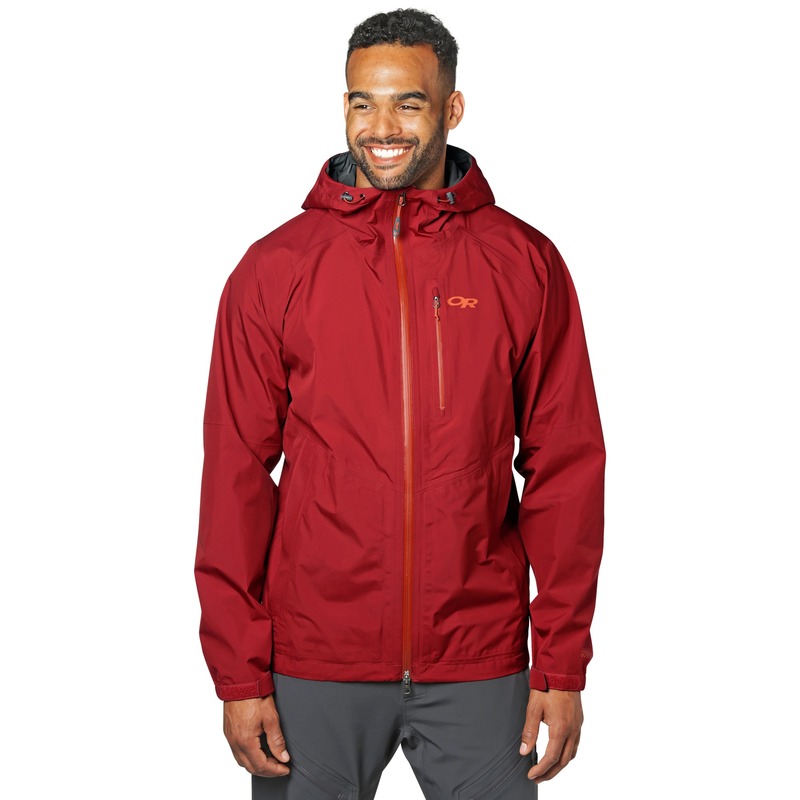 Perfect for a do it all hardshell. Everything I need and nothing I don't. Fantastic shell! Very versatile, well built. Great value! 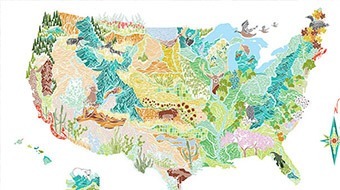 Beautiful color choices. 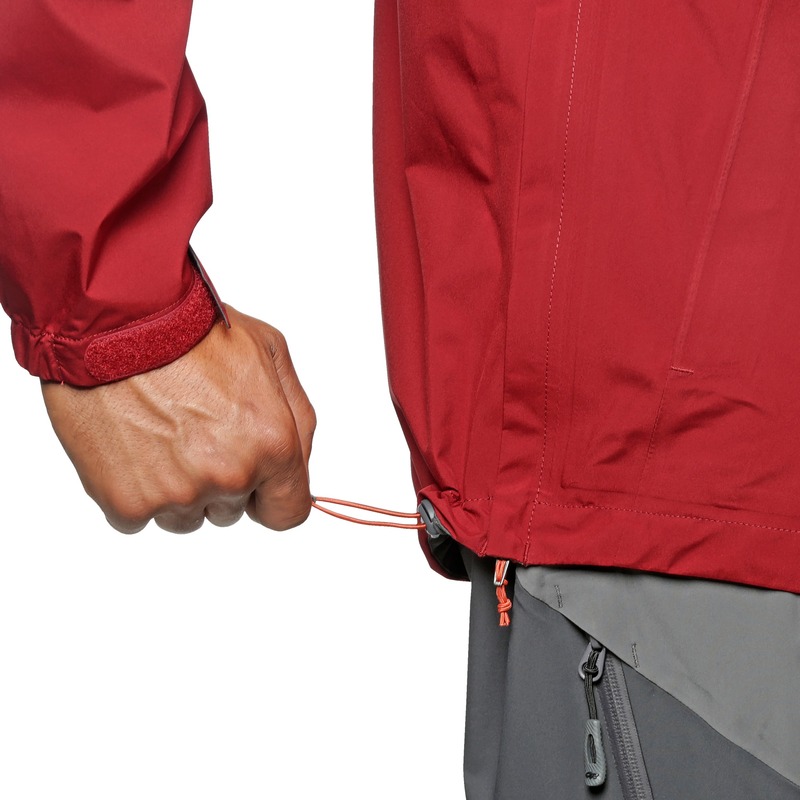 There is a strap with velcro inside the foray jacket. What is its purpose? How is it used? 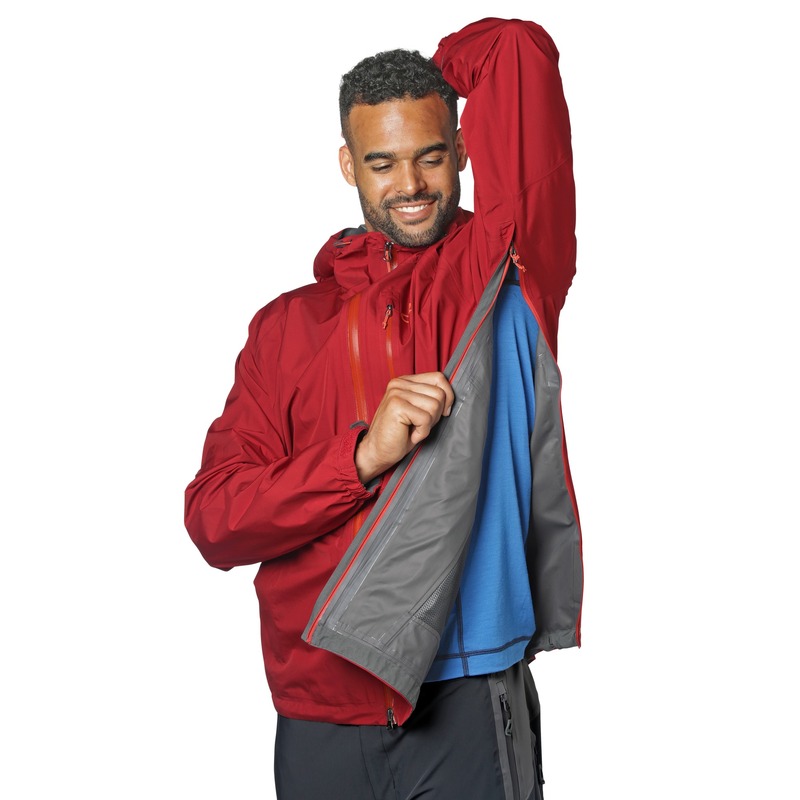 You can use it to stow the hood by rolling up the hood, threading the tab through the loop on the opposite side, and fastening the tab back onto itself. How do you roll the hood? I can't get it to lay flat and be comfortable. Thanks. Start at the brim and fold the hood inward in ~2" segments until you're able to thread the velcro tab on the inside of the jacket through the loop on the outside and fasten it back onto itself. 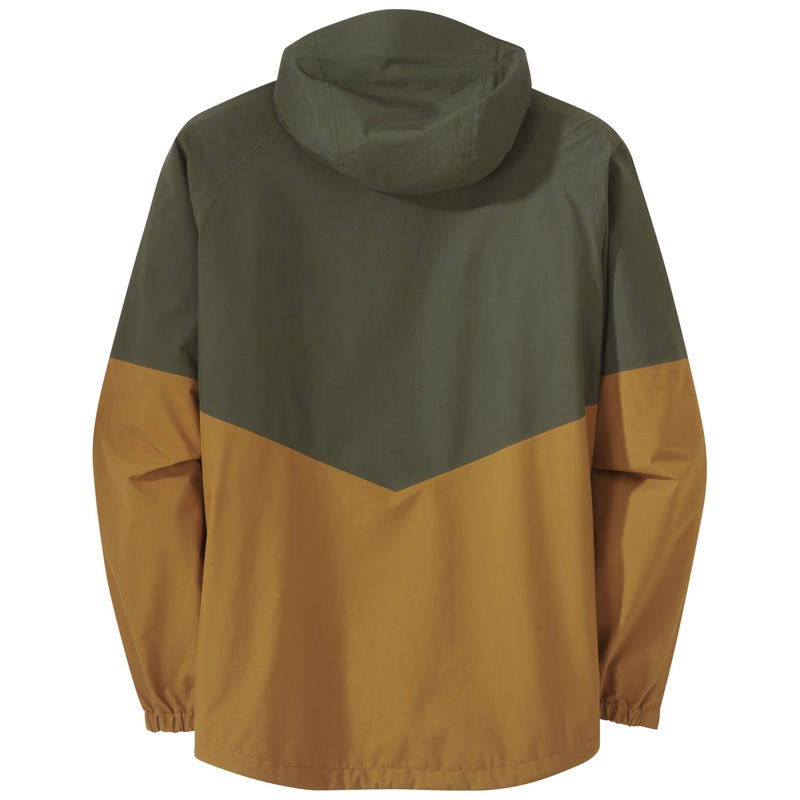 What is the sleeve length for the Foray Jacket? 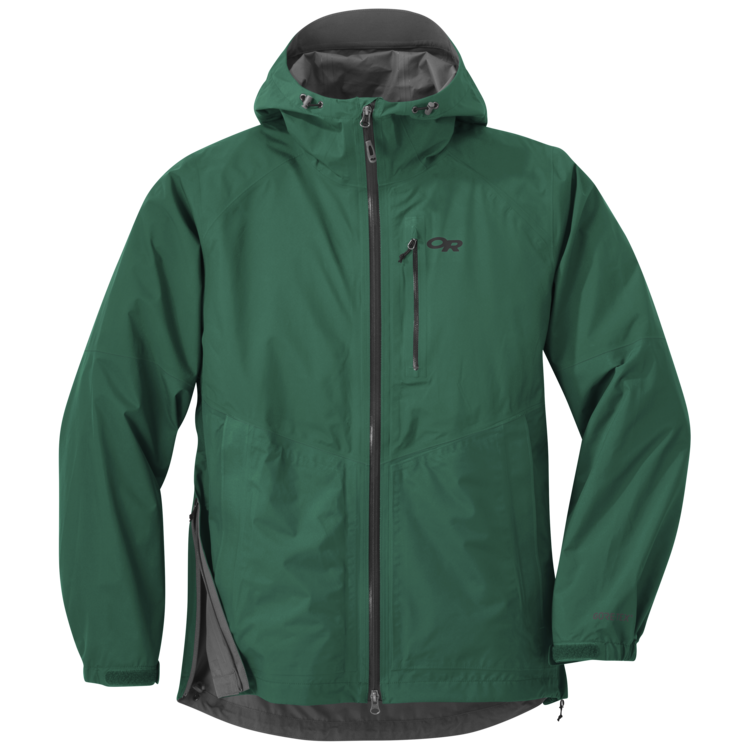 The Foray Jacket in size L has a sleeve length of 36.5"; subtract an inch for each size smaller; add an inch for each size larger. 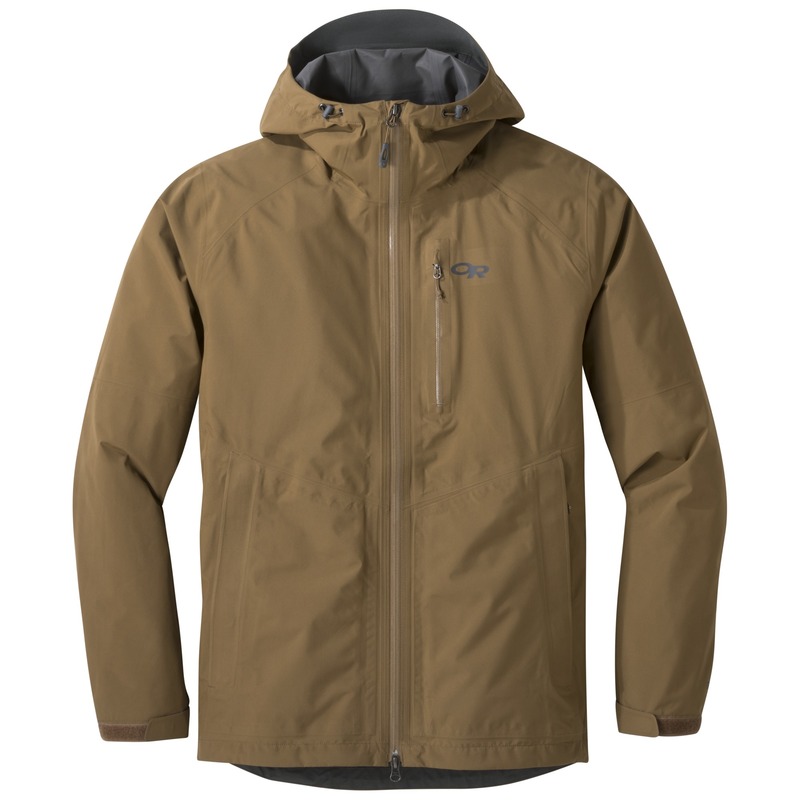 What type of Gore-tex is used on this jacket? 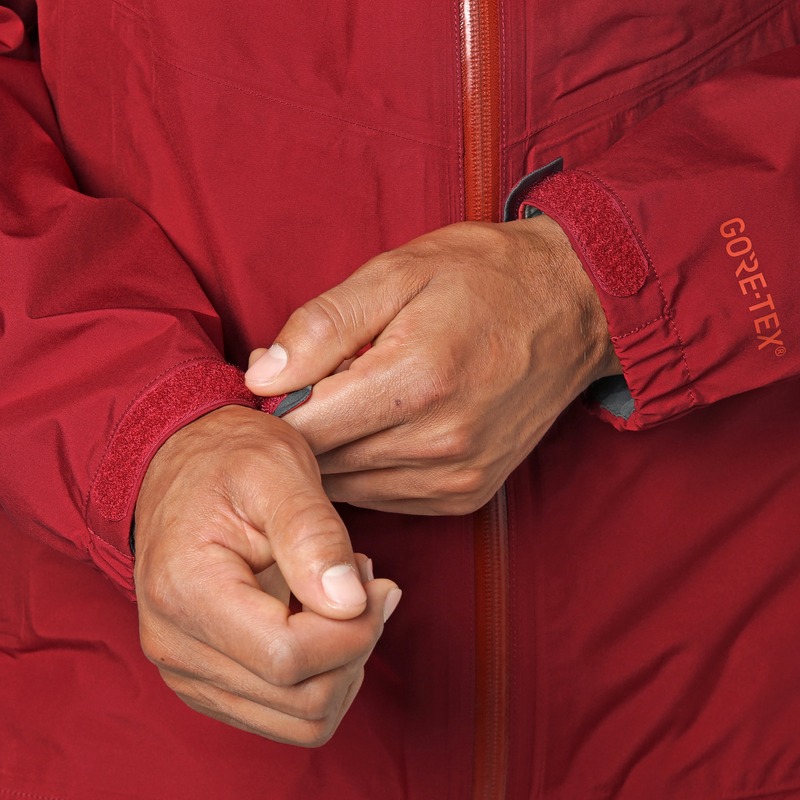 The Foray Jacket uses Gore-Tex PacLite.